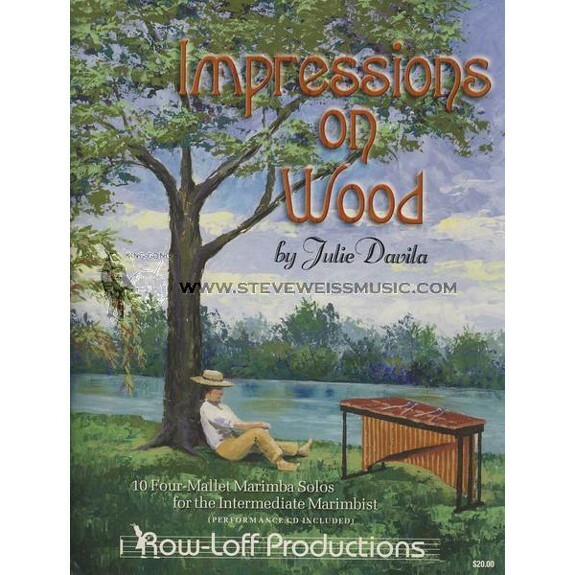 Julie Davila's marimba method book entiltled Impressions on Wood is a collection of 10 intermediate four mallet solos for the marimba. Lesson plans precede each solo and a performance CD is included with the book. This is a really nice book, with more intense emotional content than other collections I've seen at this level. The latin vibe is there in pretty much every piece, and it all feels very dramatic and grand, which I love. The end of the book is WAY harder than the beginning, but the lessons before each tune help a LOT to ensure players can get the most out of each piece. My only complaint is the one-hand octave work is pretty abrupt and not set up as well as the other technical things, which is more of a barrier in Stevens Technique than cross stick. 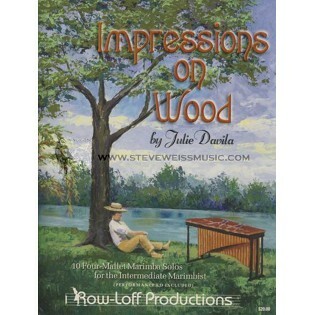 I prefer the Zivkovic Funny Marimba Book 1 for the octave introduction.